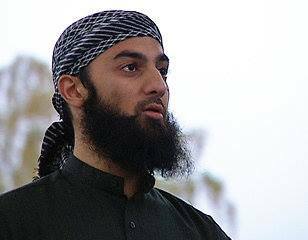 UPDATED: The Oslo City Court sentenced one of Norway’s most high-profile Islamists, Ubaydullah Hussain, to nine years in prison on Tuesday for having been a member of the terror organization ISIL and recruiting others to join it. Legal experts called the sentence “historic” because it’s the first to address illegal participation in a terrorist organization, and sets an important precedent. “It had to be a strict sentence,” law professor Erling Husabø told Norwegian Broadcasting (NRK) Tuesday evening, after the sentence was handed down to the 31-year-old Hussain, a former spokesman for the controversial Norwegian Islamic group Profetens Ummah. He was convicted of having recruited his co-defendant, a 20-year-old Norwegian man who also was sentenced to two years and 10 months in prison for having tried to join ISIL. Hussain was acquitted of charges he also recruited another Norwegian who converted to Islam, Thom Alexander Karlsen. He died just months after joining ISIL’s forces in Syria, in March 2015. The case stems from the arrest of the then-18-year-old convert at Gothenburg’s Landvetter airport in the summer of 2015. He’d been driven to the airport by Hussain who later was convicted of nurturing the young man’s involvment with radical Islam and arranging his transportation so that he could join ISIL in Syria. Hussain himself has admitted that he helped “brothers” in Syria while supporting ISIL’s cause. Husabø, a law professor at the University of Bergen, noted that there was “one question that can be subject to further discusion if the case is appealed: He was sentenced for three violations of the same law.” Husabø said that involved “technical legalities,” however, and was unlike to have major consequences for setting Hussain’s jail term. Lars Gule, a researcher specializing in extremism, called the sentence “very strict” and he can understand defense attorney Elden’s reaction that the court set a low threshold for defining Hussain as a member of ISIL. Gule said it was important to look at the consequences of strict jail terms in such cases, stressing that it was equally important to rehabilitate extremists and reintegrate them into society.